We offer you free WiFi, and your choice of music while we are caring for your teeth. Sunglasses, neck and lumbar pillows are available for those that would like them. Watch the fish in the fishtank in the reception area, or the birds that come to the window bird feeders in each of the appointment rooms. 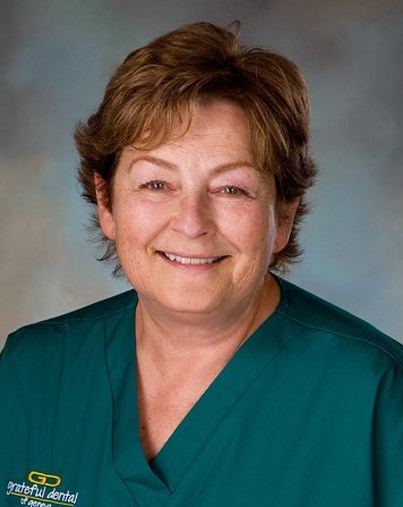 Dr. Terri has over 25 years of experience and success in ​all aspects of dental treatment. 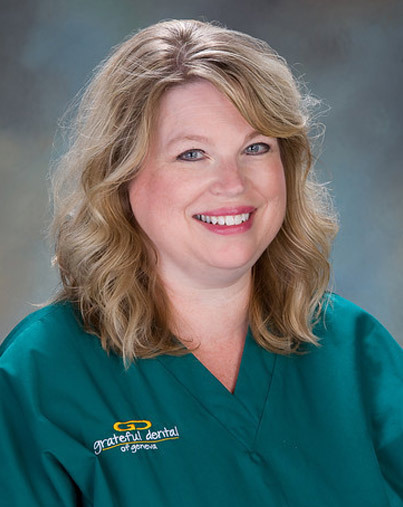 Dr. Terri believes that each patient deserves and requires an individualized plan. This will provide accuracy in treatment results and efficiency. We Stay On Top Of The Latest Technology. Dr. Terri is a life-long learner and is passionate about the field of dentistry. ​She frequently attends continuing education courses to stay up-to-date on the latest knowledge and implement the most effective new technology. Grateful Dental Of Geneva uses a digital, filmless X-ray machine, which reduces radiation exposure by 70 to 90 percent. Our mission is to treat each patient as if they were our own family member. We strive to provide the excellent results you want and outstanding customer service you deserve. We treat you from age 1 to 100+. We’re Easy on Your Budget. Grateful Dental Of Geneva offers exceptional dental treatment. We accept CareCredit which may allow you up to two years interest free payments. We file ​insurance paperwork to most major insurance providers. We also offer referral bonuses to our patients! We believe in educated patients. The best patients are well-informed about their dental treatment, and for that reason we thoroughly explain our treatment plan using digital X-ray images and intraoral camera photos to show ​you the areas needing dental care in your mouth. We encourage you to ask questions and be involved! We plan for dental care that will last for you. We will let you know what the options are and help you make the best decision for you.